A parent’s bonds with their children are among the deepest emotional ties we enjoy. When divorce or separation divides a family, or a child is born to parents who have not established a family, those emotions can be strained. The court’s role in such circumstances is to rise above emotions and to consider a child’s best interest in matters such as child custody. A Tulsa child custody attorney can assist you in demonstrating what is your child’s best interest when the courts are involved. Parents and courts may choose among many arrangements to provide a child a stable home life when a family is divided. Arrangements vary, but Oklahoma courts have a singular goal in child custody cases — to provide for the child’s best interests. 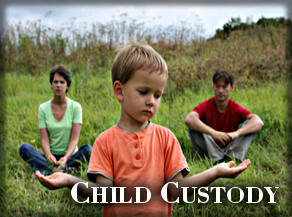 Typical orders may allow joint custody, sole custody or in some cases, removal of a child from either parent’s custody. Beyond issues of who will be the primary caregiver, custody orders can set out plans for other details such as visitation schedules, where the child may live and the role of extended family such as grandparents. Even when two parents reach an amicable agreement about their child’s future, their choices must meet court approval. When they are not property documented, amicable child custody agreements can be strained if disagreements later arise. Contact a Tulsa child custody attorney at the Wirth Law Firm today for a free confidential consultation about your child custody concerns at (918) 879-1681. We split up – What now? When a married couple separates and they have minor children, the court may issue a temporary custody order. That order can become the model for an eventual child custody order. Similarly, whatever you do while your child custody case is pending may effect the eventual outcome. Whether you pay support, assist with medical care, participate in school events and spend time with your child can effect a court’s eventual child custody order. Carousing, drug use and reckless behavior around a child can seriously diminish your chance of getting the best custody outcome for your child. You may also be concerned about the other parent’s actions around a child, and not be certain what are your rights to protect your child when you aren’t around. It’s not a time for guesswork. A Tulsa Oklahoma child custody attorney can counsel you about how to legally assert your role as a parent during this critical time. When only one parent appears for court proceedings, a court may issue an ex parte order. A parent’s participation on court proceedings, or mistakes in notifying the other parent about important matters can affect a court’s eventual decision. From the time a parent decides to seek a separation or divorce, through temporary and final court proceedings and throughout the life of a child, their choices can make a difference in the way a court views their parental interests. An Oklahoma child custody attorney can counsel parents to help them find the confidence they need to build a stable life for their child in changing circumnstances. A Tulsa child support attorney provides legal representation for parents so they can move forward with the important job of being a parent. If you would like a free consultation with an Oklahoma child custody lawyer, call the Wirth Law Office at (918) 879-1681 (or toll free at (888) Wirth-Law) or submit the question form at the top right of this page.